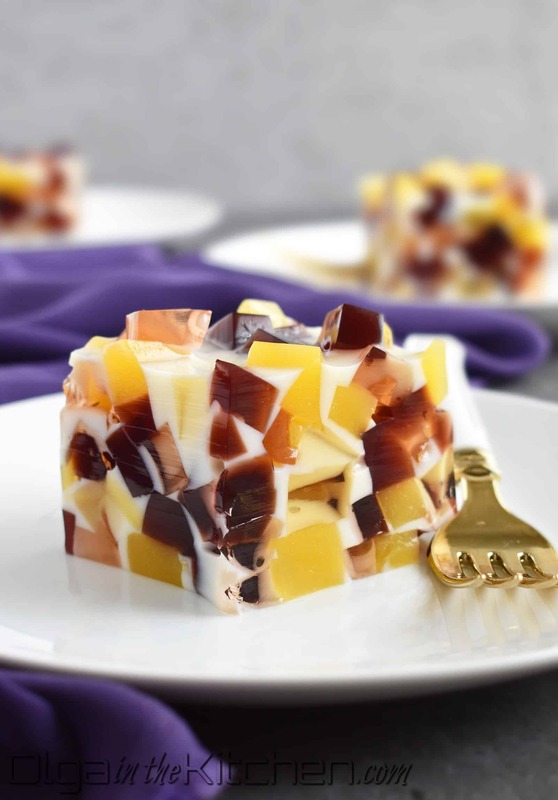 Broken Glass Juice Gelatin: colorful, juicy and creamy, fun, eye-catching, light dessert; perfect for holidays or any occasion throughout the year. This dessert will be a hit around big holidays such as Thanksgiving and Christmas. It’s made out of your favorite juices rather than store-bought Jell-O and it’s calling for all the gelatin you have in your house! This recipe makes a full 5 qt baking dish that would serve up to 20 people, which is great for those big gatherings around the holidays. The size of this recipe doesn’t scare my little family; we can take at least half of the dish or all of it in few days! Who doesn’t love jell-o, right? It surely would substitute a piece of cake or any fruit. First time I saw such masterpiece was when one of my sisters brought it to a family gathering one Christmas. It looked so complicated, but believe me it’s not! 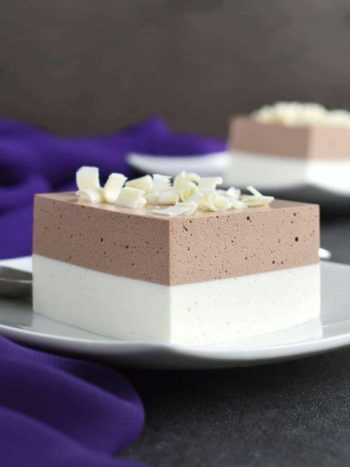 It takes a bit of time to set, but this dessert is so easy to make, you can’t go wrong with it. 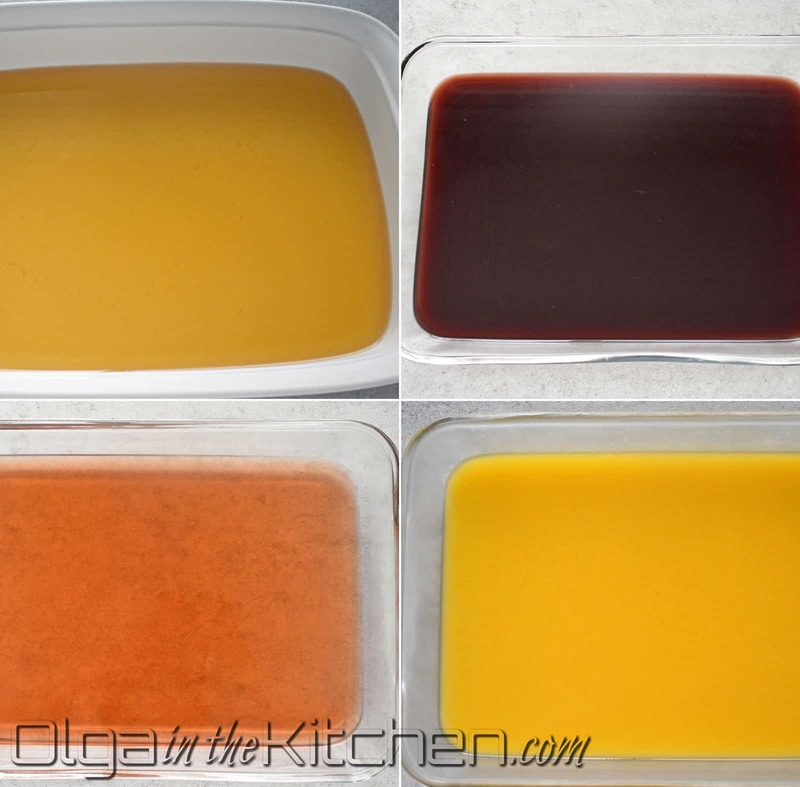 I’m using 4 different juice colors in this recipe to create that contrast in the dish. Now, you can use the jell-o for this as well, but I don’t ever buy the jello. The food coloring used in each makes me dizzy, and most of the time the different flavors make my house smell as if someone had just painted our house. Well, you can imagine what we eat. I know it’s not completely possible to eliminate all the artificial coloring from our lives because that’s the way we are :D, but when it comes to homemade meals, I try to be as natural and organic as I can be. I add sugar and a bit of freshly squeezed lemon juice to each juice flavor. The sugar gives a bit more sweetness to the gelatin and the lemon juice keeps the juice colors bright, so that you can really see the contrasting colors in this dessert. The amount of gelatin in this recipe might seem a lot, but I tried using 2 pockets per juice flavor and the jello was more on the soft side – hard to work with. You will also need 4- 9×13” baking dishes and 1-5 qt (11×17″) baking dish for final product. (If you don’t have these dishes, I’d recommend you get them. They work for everything. I bake meals in them or I use them for jello, for saving desserts in the fridge; you name it. These also come in different sizes, which is a great advantage). 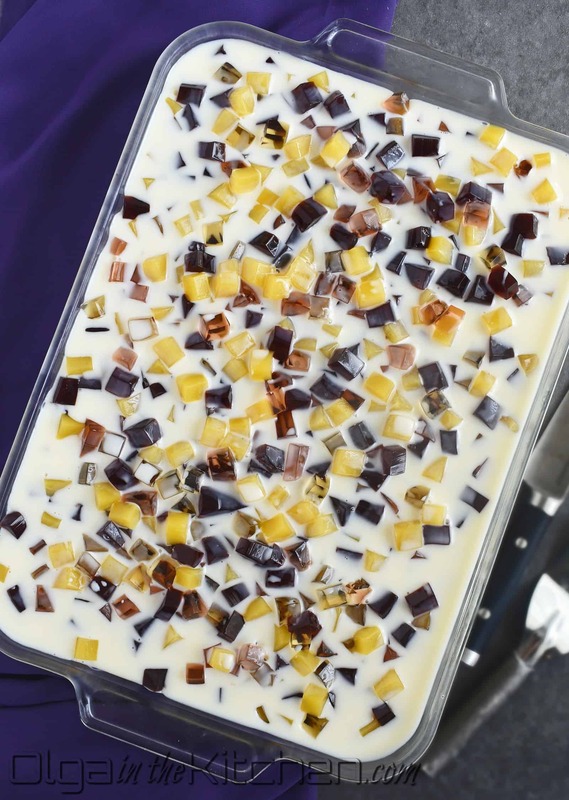 If you decide to make a smaller portion of this recipe, make sure that no matter what size of baking dish you use that all are the same size, otherwise you will end up with unequal juice cubes and your dessert won’t look as gorgeous! You want the juice squares to be approximately the same. Your eye is your ruler! Pan spray 4-9×13″ baking dishes and wipe around with a paper towel. Set aside. 1. Place 1 cup cold apple juice into a medium bowl. Sprinkle with 3 envelopes unflavored gelatin; gently whisk and set aside for it to bloom. Meanwhile, place 3 cups of apple juice into a small saucepan. Add 2 tbsps sugar and 1 tbsp freshly squeezed orange juice. Stir and bring to a boil over medium heat. 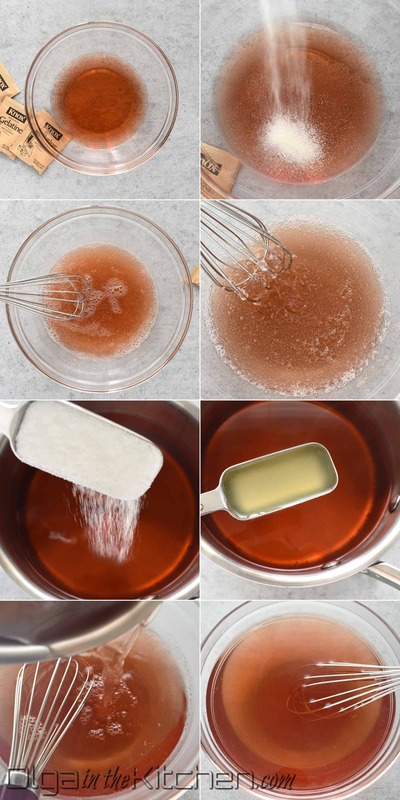 Pour the boiled juice over bloomed gelatin and whisk until gelatin fully dissolves. Set aside to cool to room temp before you pour into a 9×13” baking dish. 2. Repeat Step 1 for grape juice, strawberry/raspberry juice and orange juice. Grape juice: 4 cups grape juice, 2 tbsps sugar and 1 tbsp lemon juice. Strawberry/raspberry juice: 4 cups strawberry/raspberry juice, 2 tbsps sugar and 1 tbsp lemon juice. Orange juice: 4 cups orange juice, 2 tbsps sugar and 1 tbsp lemon juice. Pour each juice into a separate 9×13″ baking dish wiped with cooking spray. Refrigerate up to 4 hours until gelatin fully sets. 3. Spray a 5 qt baking dish and wipe around with paper towel; set aside. 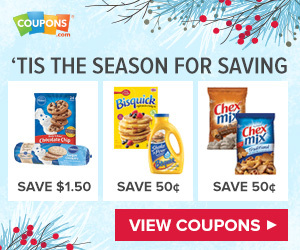 Take out all 4 flavors of set juice gelatin. Using a thin sharp knife, cut each into squares about 1/2″ (depends how deep the gelatin is in your dish, you want all squares approximate size on all edges; if your dish is 3/4″ deep, cut the squares into 3/4″ wide, etc.). Use a thin metal spatula to grab each flavor and wear a glove (safe for food) to help drop the squares one by one into a 5 qt dish. (I do 2-3 full spatulas of apple juice, 2-3 full spatulas grape juice, and continue mixing the colors from all dishes until all dishes are empty, leaving the sides – round-ish squares out). 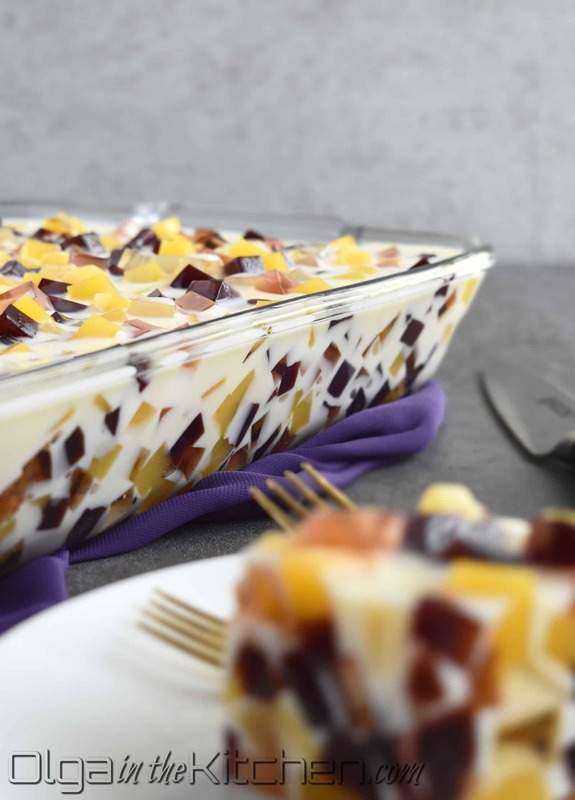 You can reward yourself and eat the remaining juice gelatin once you finish making this dessert 🙂 Refrigerate while you work on the creamy part of the dessert. 4. In a medium bowl, sprinkle 4 unflavored gelatin envelopes over 1/2 cup cold water. Set aside to bloom. Do not whisk. Whisking will create hundreds of little foamy bubbles. Meanwhile, bring 1 1/2 cups cold water and 2 tbsps sugar to a boil over medium heat. Pour the hot water into the bowl with bloomed gelatin and gently whisk. 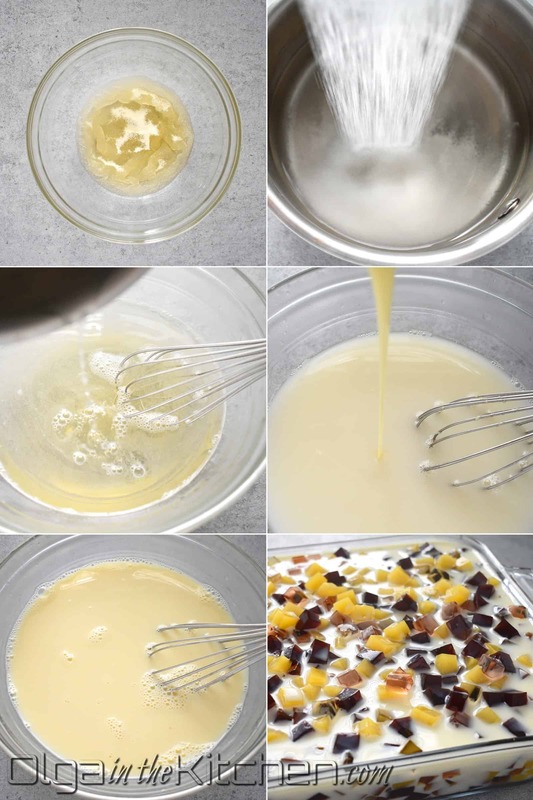 Once gelatin fully dissolves, add 1 (14 oz) can sweetened condensed milk and whisk to combine. Set aside to cool until slightly warm. It will cool fast so keep an eye on it. If you wait until completely cooled, the gelatin will start setting and you will have white pudding. If that happens, do not use it. (refrigerate and eat it once set). Make it again or you will mess up your broken glass dessert. 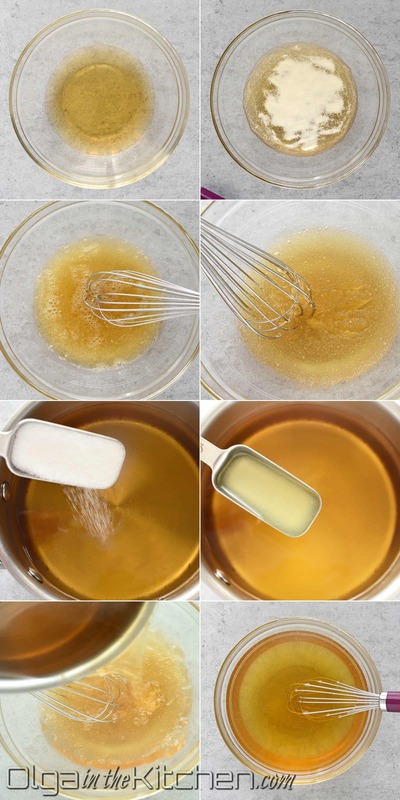 Transfer the cooled sweetened condensed milk gelatin into a measuring cup and slowly pour over the cubed juices. *If you have bubbles in your condensed milk gelatin, use a small sieve to pour the gelatin through and over the squares; it will save the foamy stuff. Use back of a disposable spoon to pop any bubbles created from the condensed milk gelatin. 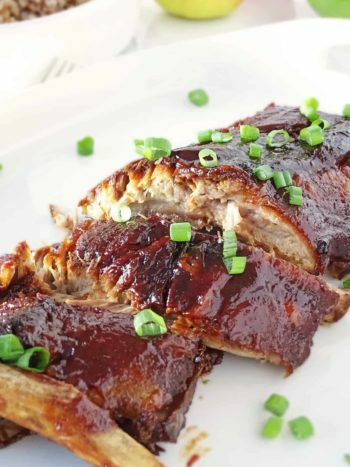 Do it quickly as the gelatin sets fast – warm on cold technique. Refrigerate up to 4 hours to completely set. The juice gelatin stays fresh up to 4 days in a fridge. 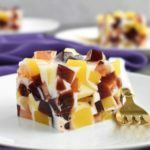 Broken Glass Juice Gelatin: colorful, juicy and creamy, fun, light dessert; perfect for holidays or any occasion throughout the year. Pan spray 4-9×13″ baking dishes and wipe around with a paper towel. Set aside.Place 1 cup cold apple juice into a medium bowl. Sprinkle with 3 envelopes unflavored gelatin; gently whisk and set aside for it to bloom. Meanwhile, place 3 cups of apple juice into a small saucepan. Add 2 tbsps sugar and 1 tbsp freshly squeezed orange juice. Stir and bring to a boil over medium heat. Pour the boiled juice over bloomed gelatin and whisk until gelatin fully dissolves. Set aside to cool to room temp before you pour into a 9×13” baking dish. Repeat Step 1 for grape juice, strawberry/raspberry juice and orange juice. Grape juice: 4 cups grape juice, 2 tbsps sugar and 1 tbsp lemon juice. Strawberry/raspberry juice: 4 cups strawberry/raspberry juice, 2 tbsps sugar and 1 tbsp lemon juice. Orange juice: 4 cups orange juice, 2 tbsps sugar and 1 tbsp lemon juice. 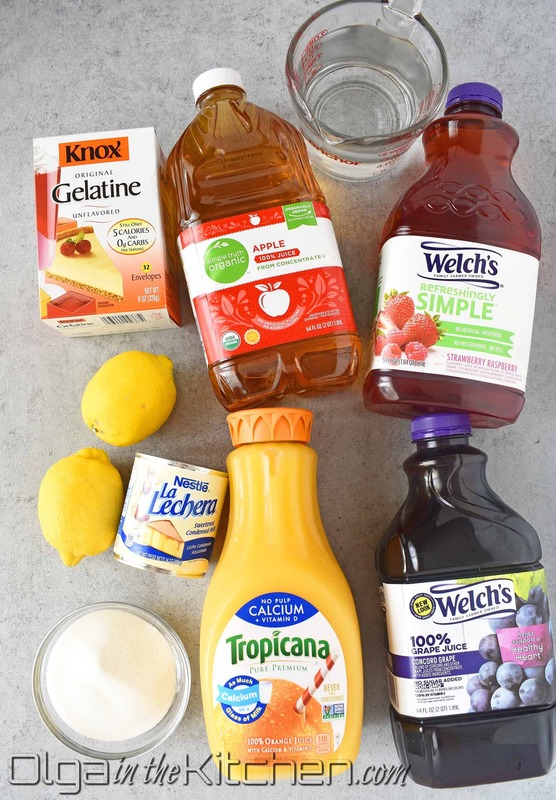 Pour each juice into a separate 9×13″ baking dish wiped with cooking spray. 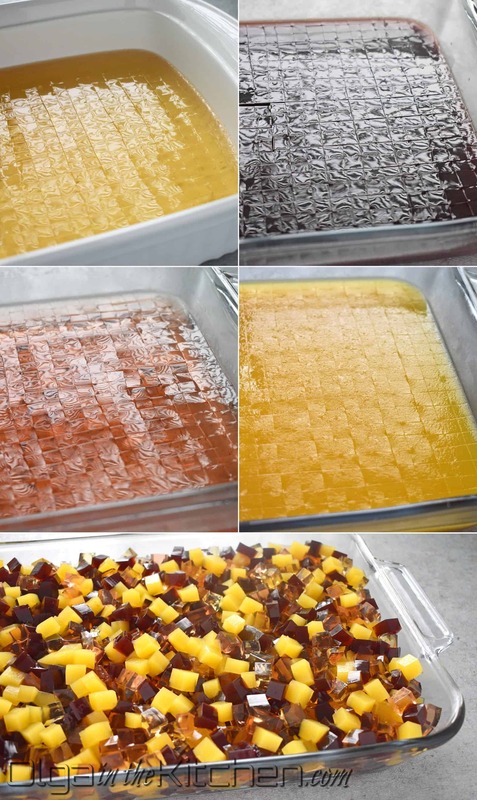 Refrigerate up to 4 hours until gelatin fully sets. Spray a 5 qt baking dish and wipe around with paper towel; set aside. Take out all 4 flavors of set juice gelatin. Using a thin sharp knife, cut each into squares about 1/2" (depends how deep the gelatin is in your dish, you want all squares approximate size on all edges; if your dish is 3/4" deep, cut the squares into 3/4" wide, etc.). Use a thin metal spatula to grab each flavor and wear a glove (safe for food) to help drop the squares one by one into a 5 qt dish. (I do 2-3 full spatulas of apple juice, 2-3 full spatulas grape juice, and continue mixing the colors from all dishes until all dishes are empty, leaving the sides – round-ish squares out). 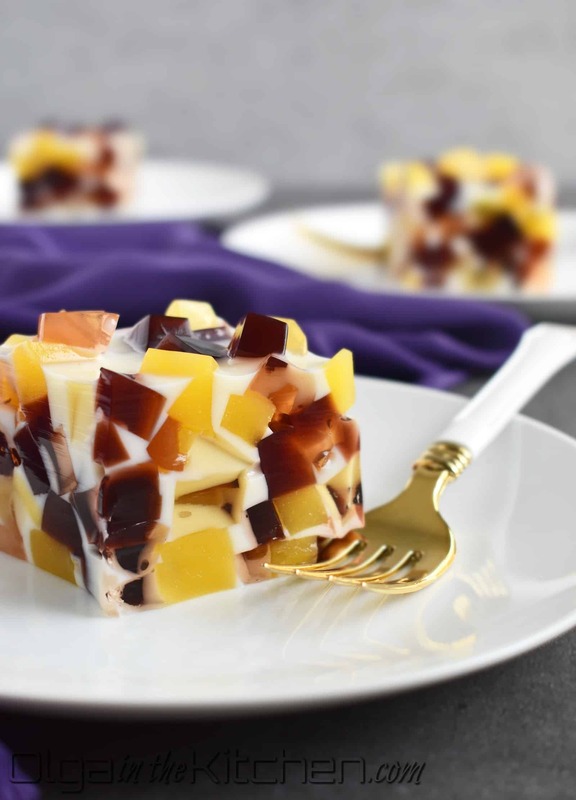 You can reward yourself and eat the remaining juice gelatin once you finish making this dessert 🙂 Refrigerate while you work on the creamy part of the dessert. In a medium bowl, sprinkle 4 unflavored gelatin envelopes over 1/2 cup cold water. Set aside to bloom. Do not whisk. Whisking will create hundreds of little foamy bubbles. Meanwhile, bring 1 1/2 cups cold water and 2 tbsps sugar to a boil over medium heat. Pour the hot water into the bowl with bloomed gelatin and gently whisk. 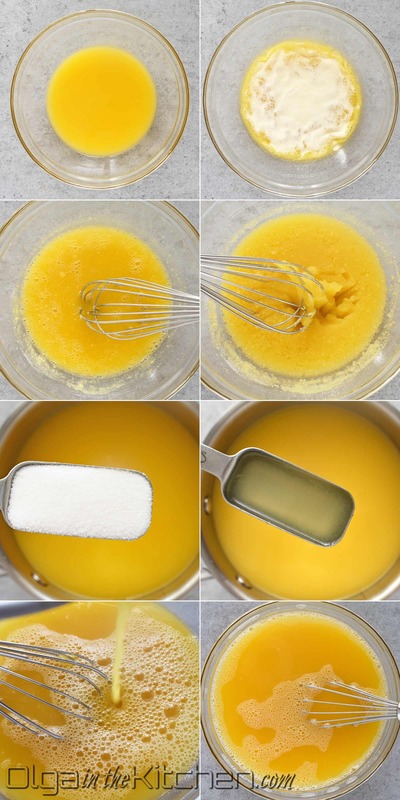 Once gelatin fully dissolves, add 1 (14 oz) can sweetened condensed milk and whisk to combine. Set aside to cool until slightly warm. It will cool fast so keep an eye on it. If you wait until completely cooled, the gelatin will start setting and you will have white pudding. If that happens, do not use it. (refrigerate and eat it once set). Make it again or you will mess up your broken glass dessert. Transfer the cooled sweetened condensed milk gelatin into a measuring cup and slowly pour over the cubed juices. *If you have bubbles in your condensed milk gelatin, use a small sieve to pour the gelatin through and over the squares; it will save the foamy stuff. Use back of a disposable spoon to pop any bubbles created from the condensed milk gelatin. Do it quickly as the gelatin sets fast – warm on cold technique. Refrigerate up to 4 hours to completely set. Cut into squares and serve. 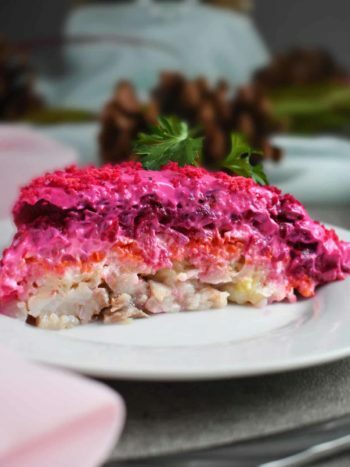 (The juice gelatin stays fresh up to 4 days in a fridge). I also made this recipe. This is the best natural jello I’ve ever tasted. I will be making it again for Thanksgiving and Christmas! Love your recipes! The moment I saw your recipe I threw out artificial jello and my kids’ new favorite is this natural version. So happy I found your blog. Thanks Lynette! Natural is always the best way to go. Hi Olga ,how many g of gelatin is in one envelope?Thank you. Hi Tita, about 7 grams in one (0.25 oz). I use the common Knox brand.